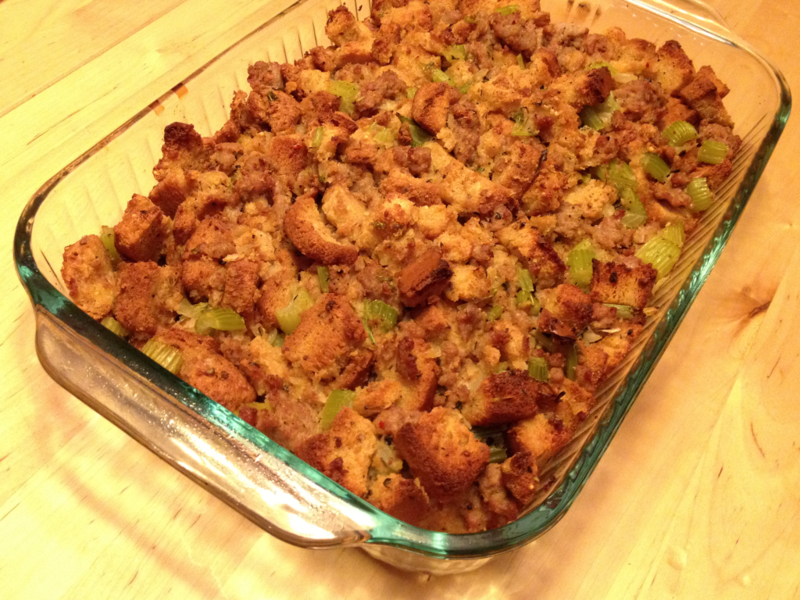 I can usually maintain my gluten free diet with no problem whatsoever, however Thanksgiving is coming up and my very favorite seasonal holiday type dish, by far, is stuffing. I was then on a mission to make the most delicious gluten free stuffing. This recipe is not hard but a tad bit time consuming, A labor of love indeed! Here is what you will need. I recommend doing this in stages. You could also do several batches and store in an air tight container to use as croutons on a salad or season with Italian seasoning then pulse in a food processor for Italian style breadcrumbs. 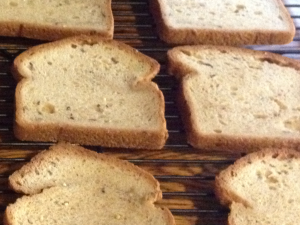 First step is to dry out your bread, I used two cooling racks and let it sit overnight or until the bread is stale. Preheat your oven to 350 degrees. Next you will brush both sides of the bread with melted butter. Cut bread into cubes and spread out on a baking sheet. Season bread cubes with poultry seasoning and rubbed sage. Bake in oven for 15 minutes or until golden brown. When you are ready to make the stuffing preheat your oven to 350 degrees. 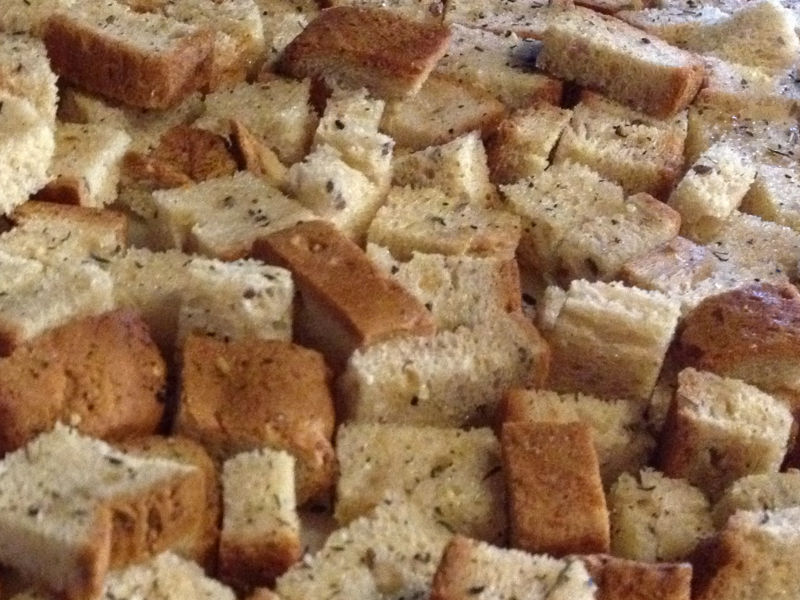 Place croutons in a large mixing bowl. In a large skillet cook your sausage it is nicely browned. While the sausage is cooking dice your celery and onion. Add cooked sausage to the mixing bowl with the croutons. In the same pan that you cooked the sausage add 2 tbs of butter and slowly cook the onion and celery over medium heat until nice and tender. Add the chicken stock and season with salt, pepper, poultry seasoning and rubbed sage cook until the chicken stock is heated through. Next slowly add enough chicken stock and vegetables to the croutons to just moisten the croutons. Pour stuffing into your favorite baking dish and bake for 30-40 minutes or until golden brown on top. Enjoy!